Kuttu cheela or kuttu ke atte ka cheela is one of my favorite fasting food option. I make it when I am fasting on Ekadashi. This cheela or pancake is very delicious and an almost instant food with no preparation needed. 1. Take kuttu ka atta in a bowl and slowly add water, mixing with other hand so as to prepare lump free batter. 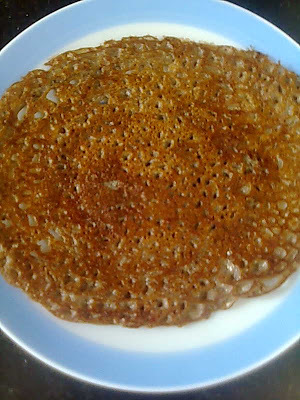 Batter consistency should be like dosa batter or any other pancake batter. Beat the batter. 2. Mix in green chillies and sendha salt to the batter. 3. Heat a non-stick tava and smear some oil for the first cheela. Gently rub it with a spatula so as to season the tava before making cheela. 4. Lower the heat and pour a ladle full of kuttu batter at the center of the tava. Spread it in outward circular motion just as you would for any other cheela or dosa. Remember cheela will be cooked on medium heat. 5. After 1-2 minuter, drizzle some oil over kuttu chilla. 6. When the lower side has browned, turn over the cheela and cook from other side as well. 7. 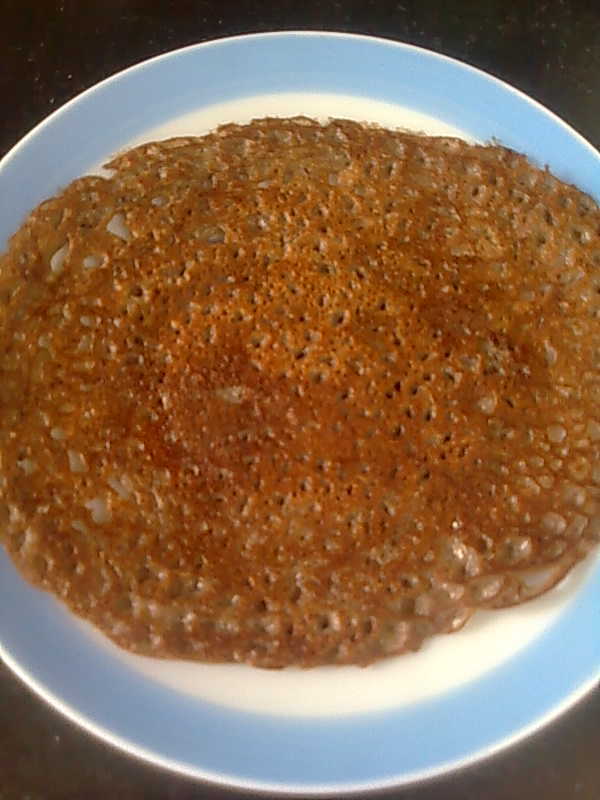 Remove the cheela from the tava and similarly make rest of the cheelas. You can have your kuttu chilla with curd or yogurt.